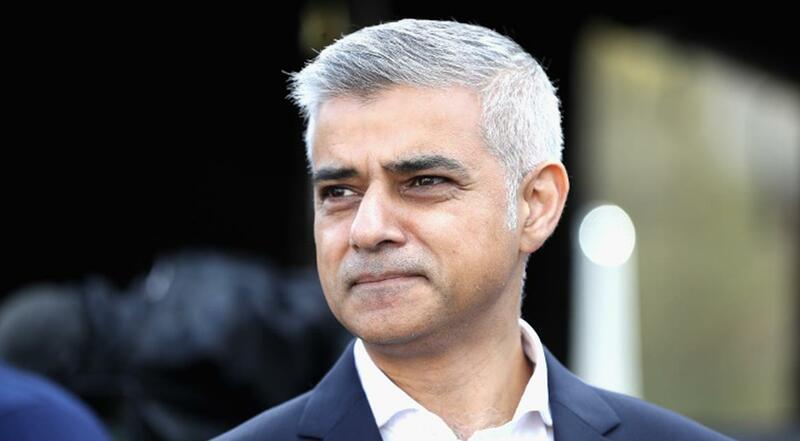 As a part of his #LondonIsOpen campaign, launched by the London Mayor Sadiq Khan to show that London is united and open for business, talent, investment, culture and ideas, Khan is touring India and Pakistan to lead trade missions in both countries. The six-day trip involves visiting Mumbai, Amritsar, Delhi, Karachi, Lahore and Islamabad. The mayor is documenting his visit extensively on his social media accounts. To celebrate Khan’s visit, Mukesh Ambani, the billionaire owner of Reliance Industries, threw a grand reception in his honour and invited some of the biggest names in Bollywood. Actors Shah Rukh Khan, Amitabh Bachchan, Katrina Kaif, Alia Bhatt, Sidharth Malhotra, Jacqueline Fernandez, Sridevi, film directors Karan Johar, Boney Kapoor and Farah Khan along with cricket legend Sachin Tendulkar attended the party and shared pictures from the star-studded night. “Fantastic meeting the godfather of Bollywood, Amitabh Bachchan in Mumbai tonight. #LondonIsOpen to Bollywood movies and their incredible talent,” he captioned a photo with Amitabh. “An honour to meet cricketing legend – The Master @sachintendulkar. Great to talk about my plans to make London the sporting capital of the world. #LondonIsOpen,” he wrote. “Great to meet British Bollywood superstar Katrina Kaif. Her success is yet another example of the deep connection between our two great cities and our booming film industries. #LondonIsOpen” he wrote on his picture with Katrina Kaif and Alia Bhatt. Shah Rukh wore a dapper suit with a slim vest for the night with shiny coat pin while Amitabh wore his favourite, classic dark bandhgala. Katrina looked gorgeous in a white heavily embroidered saree and Alia wore a bright multi-coloured skirt with a black, strappy top. The mayor also met actor Ranbir Kapoor earlier on Sunday and posted a picture from their meeting. “Fantastic to meet Bollywood actor @ranbirkapoor in #Mumbai today. Through Mumbai City FC, he’s supporting grassroots football for young Indians from all backgrounds,” he captioned the photo. According to latest reports, the Mayor has announced the biggest-ever UK/Indian TV co-production – a remake of iconic TV series ‘The Far Pavilions’. Sadiq Khan was elected Mayor of London in May 2016 during the mayoral election. He succeeded Conservative Party’s Boris Johnson.